On Saturday I taught at our Christmas Extravaganza. Each guest created five projects to take home and some were lucky enough to win a door prize to take home too. Here is the project that my team Angela, Kylie and I taught. We wanted a NZ themed Christmas card so we created this slider card. 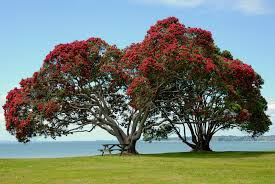 On the outside you look through the window which is cut using the Hearth & Home Thinlet dies to a Pohutukawa Tree and the sun. The edge is embossed with the Boughs & Berries embossing folder and we added a sentiment that says 'Thinking of you at Christmas'. 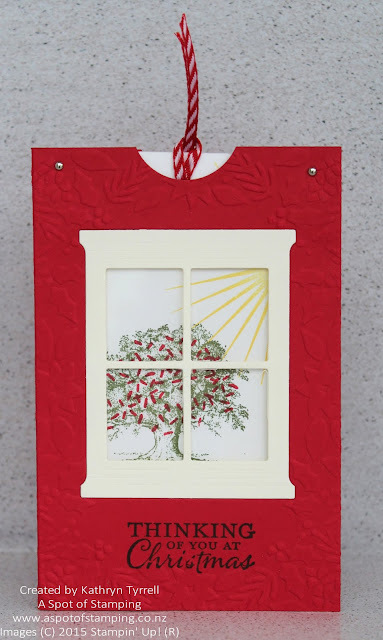 To create our Pohutukawa we stamped one of the Trees from the all time favourite set Lovely As A Tree and then we stamped the sprinkles from Sprinkles of Life all over it to give it the red Pohutukawa look. The Pohutukawa image slides up and you're then looking through the window to another scene - this time the inside of the house. We stamped the background with the lines from the Gorgeous Grunge﻿ set to look like wallpaper. Then we stamped another tree from Lovely As A Tree set over the top and decorated it with a gold star and red glimmer circles. When my Dad saw this he suggested stamping a person next to the tree. There's lots of ways you could decorate your 'inside scene' or add to it how you wanted. 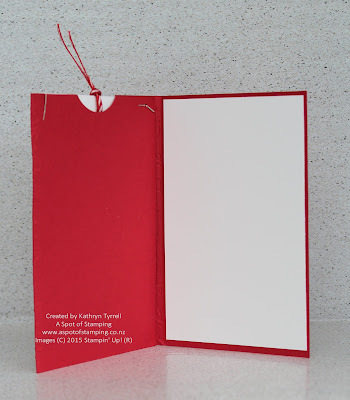 Finally you see the card opens like a normal card so there's plenty of room to write your Christmas message. We opted to leave this blank and not add a sentiment as our guests were working to a time limit and we didn't want them to have too much to do. 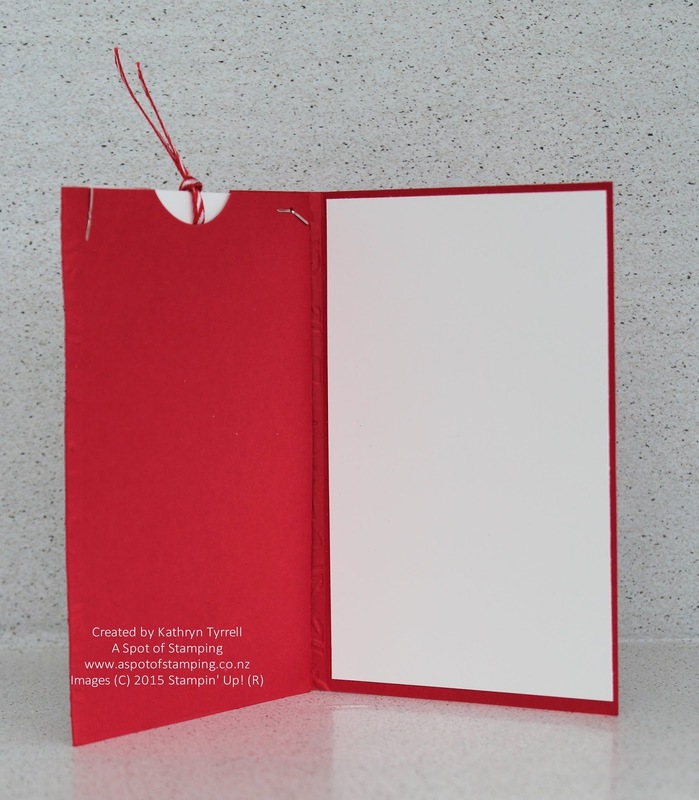 It would be easy to add your own Christmas sentiment inside with your message. Do let me know if you try this card. I'd love to see your creations. Also stay tuned to see the other four projects that were made on Saturday. I'll be posting photos of those soon.